Congratulations! You have an amazing idea for a novel that you think could really be the next big thing on Oprah’s Book Club! … How long it should be. So, the question is, how many words in a novel? The length of a book is one of the most important elements. In fact, some literary agents and publishers say that it is just as important as the story itself. But why is the length so important? Because you want to hold the attention of your audience… If your book is too long, you’re definitely going to lose their attention. Your novel may seem too long and drawn out, which can make it really hard for your readers to make it to the end. Similarly, if your book is too short, your readers may be left feeling dissatisfied. They could be left scratching their heads and have a ton of questions that are left unanswered. Unless you are planning on writing a series and can answer all of those questions in upcoming books, that’s definitely something you don’t want to do. So, How Long Should a Novel Be? When it comes to determining the length of a novel, the genre is really going to play a key role. Different genres have different goals, and those goals can be met with word counts. Science Fiction and Fantasy Novels. 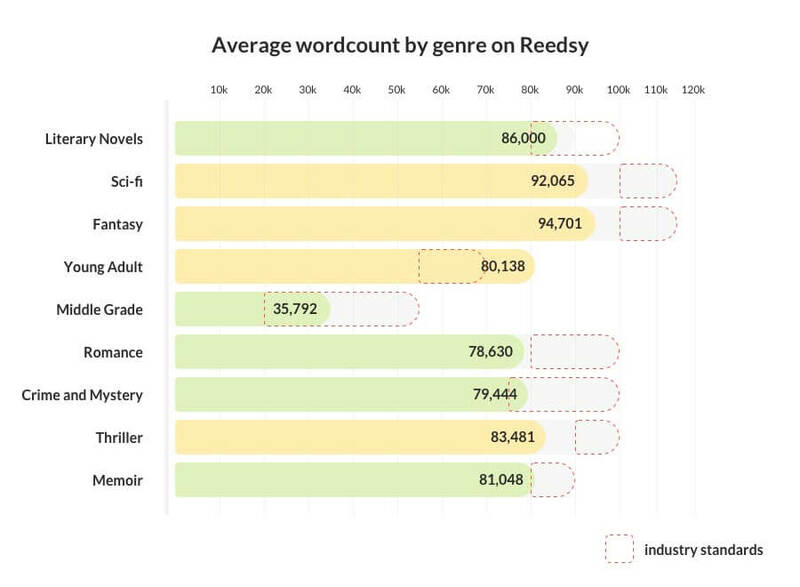 Of all the genres out there, science fiction and fantasy tend to have the longest word counts. That’s because there tends to be a lot of plot building and detailed explanations involved in these stories. In fact, readers expect books in this genre to be on the long end. On average, a science fiction or fantasy novel should be between 90,000 and 120,000 words. You might be able to get away with as much as 150,000 words, depending on your particular story; however, you really don’t want to go far beyond that (or you may want to avoid it, if you can) because your readers patience will really be tested. Romance. The average romance novel contains anywhere from 50,000 to 100,000 words. If you’re writing your book for a younger audience, such as young adults, stick to the lower end of this recommendation. If you’re writing for an older crowd, you can safely get away with more words. However, do keep in mind that you want to avoid overkill. Mysteries and Thrillers. If you’re writing a book that ties into this genre (including horror), a good length would be anywhere between 70,000 and 90,000 words. You can successfully build enough suspense in this word count without making it seem too long, drawn out, and boring.